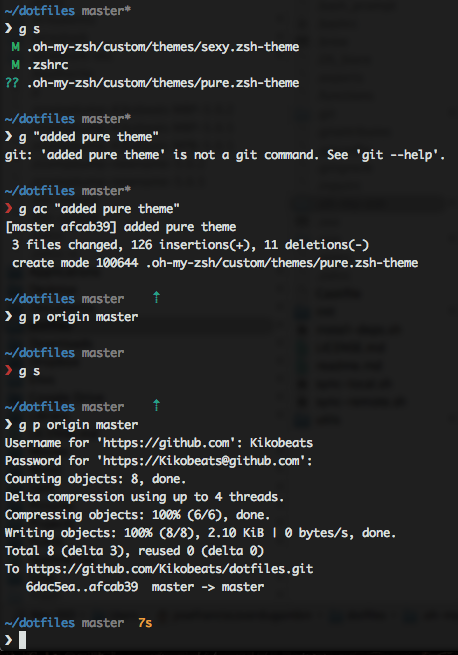 This days I have discovered zsh, oh-my-zsh and finally pure. 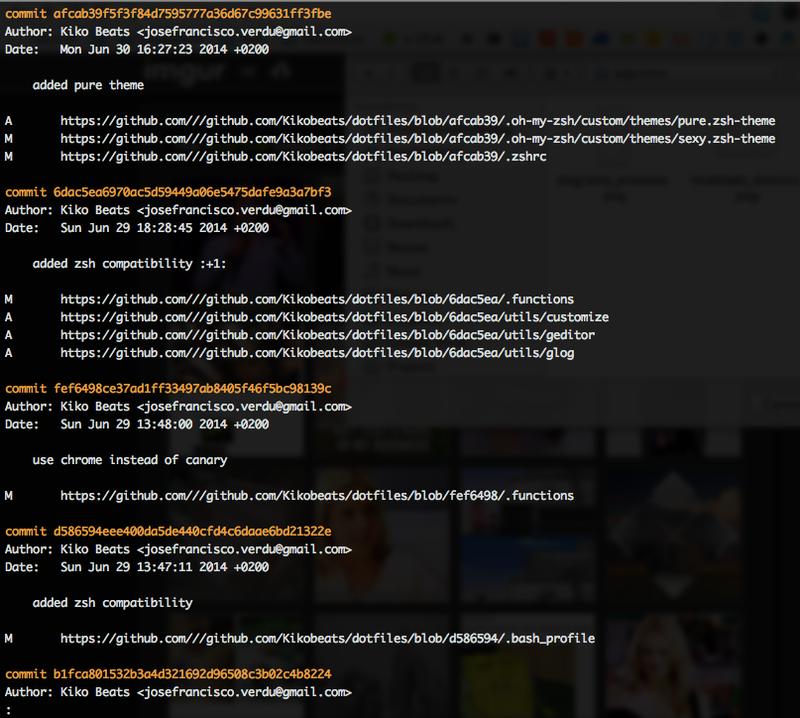 $ gurl # open your browser with the url of the git repository. $ gh <repository> # open your github account in the browser in the <repository> page. 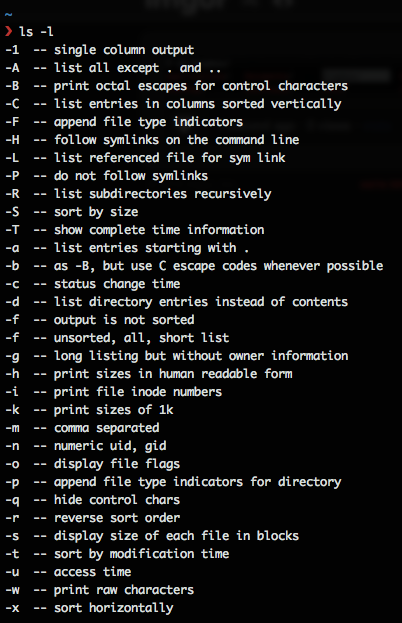 Until now, this features is common for zsh and bash, but, why zsh is better than bash? Simply zsh is sugar for the terminal. zsh extended bash.